Gold-tone magnifying glass/loupe ring pendant with lined logo accent and CC logo. 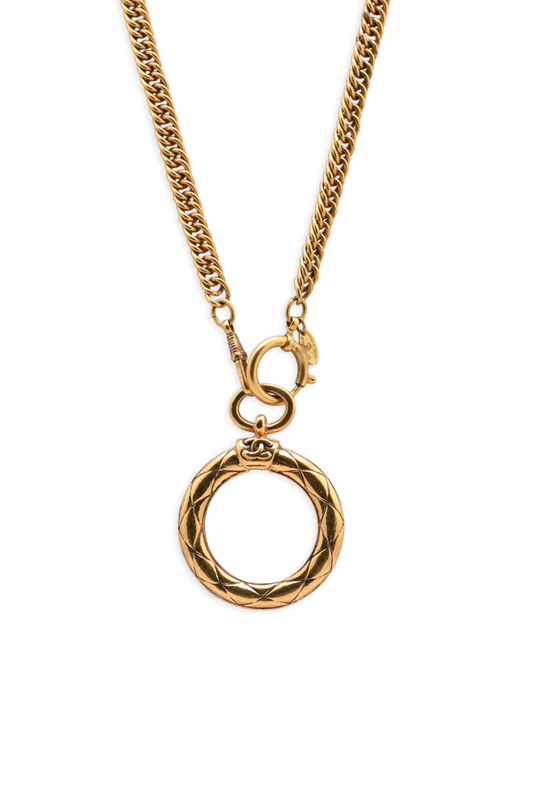 Gold-tone curb chain with spring-ring closure. Charm diameter: 2", length: 37".